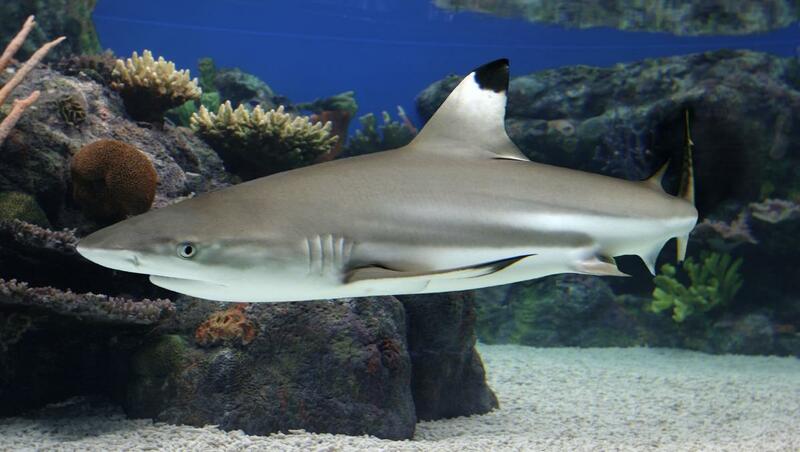 Sharks are absolutely essential for healthy marine ecosystems. Currently sharks are being killed at a rate that averages out to two to three sharks every second. That’s 70 to a 100 million sharks being killed every year and it’s mostly because of their fins. So there are targeted fishery for the demand of shark fin soup, a delicacy in Asia. Shark fin soup is traditionally served as a status symbol. They utilize less than 5% of the shark when they’re killing them only for the shark fin soup. At the current rate of decline many shark species will be extinct within our lifetime. Without sharks it’s like being without an immune system. Fisheries collapse, diseases spread, and you have a major degradation of reefs and local ecosystems. Sharks are vital to keeping the largest ecosystem in the world healthy. When people think of sharks they instantly associate them with fear. The media has trained the world to be scared of sharks through movies that portray them as something to be afraid of such as Jaws, The Shallows, Deep Blue Sea, The reef, and Shark Night. There are also countless articles and stories that only give the gory details and say nothing about what actually happened. We understand that with the way that sharks are portrayed in mass media that people fear them but we hope that we can replace that fear with fascination. Or at least a healthy level of respect for them as apex predators. There aren’t many sharks left in the oceans and this is a critical place and time for shark and marine conservation. What people don’t realize is that sharks are not as dangerous as they might think. In fact, they are incredibly important to life on Earth. What makes sharks amazing though is just how finely tuned their bodies are, we are talking about a group of animals that are older than trees (sharks are roughly 400 million years old) and they are natures greatest predator. It is key to marine protection in general that the top predator flourishes. 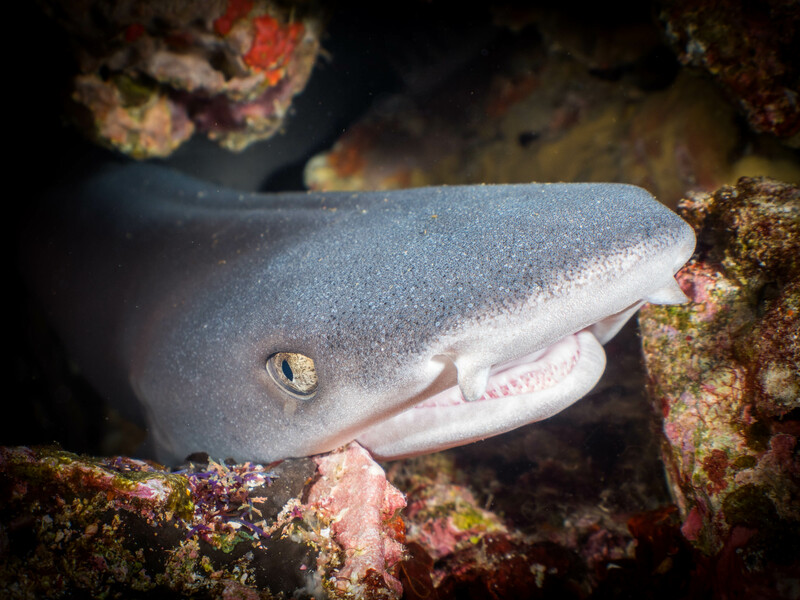 We are fortunate that here in the Gili Islands, that we consistently play host to two species of sharks; Black Tip Reef Sharks (Carcharhinus melanopterus) and White Tip Reef Sharks (Triaenodon obesus). Both are not currently considered as endangered species on a global scale however they do fall under the near threatened category in IUCN’s red list. Due to overfishing these species are experiencing a huge loss in their populations meaning they are likely to qualify for a threatened category in the near future. It is unknown what the population of these species are in the wild and therefore it is very difficult to assess exactly how effected they are by fishing impacts. What we do know is that these species have very long gestation periods and when they do eventually give birth they have a very small number of offspring making it extremely difficult to recover from overfishing impacts therefore increasing their vulnerability to population depletion, especially here in Indonesia which in the number one shark catching nation in the world. Needless to say that shark conservation is our top priority.